The Jewish Teen Education and Engagement Funder Collaborative invests, with local funders, in new approaches to Jewish teen learning and growth in ten communities around the country. One strategic element of this endeavor is that each community builds an approach to teen education and engagement custom made for teens in their community. Often, the local partners in the Collaborative work closely with other local organizations to create and run these initiatives and programs. In Los Angeles, the Jim Joseph Foundation and the Jewish Federation of Greater Los Angeles partnered to create the multi-faceted Los Angeles Jewish Teen Initiative (LAJTI), which unifies the geographic and denominational diversity of LA to engage teens, empower educators, provide resources and make connections across this sprawling city. The LAJTI’s work has fostered unique organizational collaboration and features an Accelerator program for innovative teen programs, scholarships for impactful immersive experiences, diverse professional development opportunities for teen educators, and improved marketing for teen programs. One example of LAJTI’s new and creative programming is the Community Internship Program, which concluded its second year this past summer with 40 teen interns (from 85 applicants) placed in 23 Jewish nonprofit organizations. With each supervisor developing a specific “job description” for the interns, the teens had the opportunity to utilize their skills and talents and make meaningful change in the organizations. Some project examples included: writing legal briefs and attending court cases at Bet Tzedek Legal Services, writing editorials in the Jewish Journal while also managing the webpage and social media, and helping to develop a middle school curriculum for Israel education at StandWithUs. While virtually all teens reported having a valuable experience and would recommend the program to others, through teen and supervisor surveys, focus groups, and select one-on-one interviews, the LAJTI staff learned valuable lessons to help refine the program moving forward. For example, the supervisors needed more clarity about their role in making the internship experience most valuable. This learning led LAJTI staff to add an Orientation Lunch before the second-year program began so that supervisors could learn more about the program, have an opportunity to connect with other supervisors throughout the community, and ask pertinent questions of LAJTI staff. The supervisors reported that the orientation made them feel more prepared for the start of the program. The Community Internship Program seemed to be particularly successful in generating excitement and demonstrating impact in the community for several key reasons. One, it was perceived as a value-add by organizations throughout the city. Two, it addressed teens most pressing needs such as authentic work experience and earning a paycheck. Three, it was a 4-week program, which still allowed teens to use the rest of their summer for other priorities. Four, it had the bonus of bringing teens together from across the geographical and engagement spectrum of Los Angeles, thus expanding peer networks among the participants. Finally, for those teens able to fully take advantage of it, the internship offered teens a unique opportunity to develop a mentor-type relationship with a nonprofit professional in the field. Is a Community Internship Program the Right Fit? What are the goals for the program? What are the desired outcomes for teens and supervisors? The LA CIP program had clear outcomes for each constituent group. What labor laws do you need to consider if “hiring” teens? HR played a critical role in LA’s implementation. There were many complex issues to understand and navigate. What are the criteria for selecting teen applicants and how do we reach them? The LA CIP wanted to attract motivated teens who would likely benefit from this work experience. The selection criteria did not emphasize GPA but a reference was required. Interviews also helped ensure teens were a good match. How do you ensure that you have the right organizational partners? What are the expectations for each partner? What happens if you need to make a mid-course correction with a match? LA CIP program director focused significant energy in outreach and discussions with organizations to ensure the right fit. Ongoing communication with both teens and supervisors was important. What kind of staffing is necessary to implement this program? LA CIP employs a half-time position to direct this program. What kind of research do you need to conduct before launching a program like this? LA Federation committed resources for a 6-month on-the-ground research to determine need and viability of the program. How will you solicit feedback from teens and supervisors to improve the experience next time? LA CIP used surveys, focus groups, and select one-on-one interviews. Successful teen internship programs are valuable experiences for both teen participants and the host organizations. Teens develop and build technical skills and work habits, explore and refine future career goals, and take advantage of a professional and personal growth opportunity. Organizations value the opportunity to support their community, share their wisdom, bring in new perspectives, identify future employees, and build the morale of employees by offering them a positive experience. This program has also proven to be an effective access point to both Jewish life and to the nonprofit sector. The nonprofit sector represents one of the largest growth areas for jobs in this country, and this program opens the eyes of young people to these possibilities. Research on teens shows that they highly value experiences that blend Jewish learning and engagement with other aspects and interests of their life. They want to be challenged, and they want opportunities to co-create experiences for their peers. 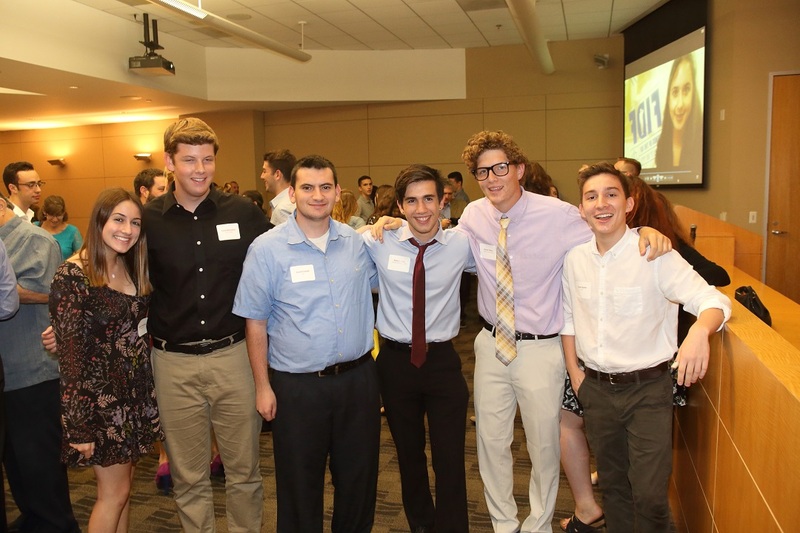 Thus, the opportunity to have a work experience in their local Jewish community – replete with the freedoms and responsibilities that come with that – speaks directly to the stage of life teens are in and to the type of leaders they hope to become. Shira Rosenblatt is Senior Vice President of Jewish Education and Engagement at The Jewish Federation of Greater Los Angeles. Stacie Cherner is a Senior Program Officer at the Jim Joseph Foundation.